Protect your wooden structure investment using technology to beautify and preserve the exposed building material. Exterior wood, especially decks, fences, wood/cedar siding, cedar shake roofs & log homes all will benefit by regular maintenance cleaning, sealing and staining. What Happened To My Wood!? As you know, Wood is a big part of our lives. Yet, the cost of wood is increasing at an alarming rate. Wood is being prematurely replaced every day that could have been saved with good maintenance by the wood care professionals here at Wash It Clean – Richmond VA. The forces of weathering can be devastating to wood. Moisture from rain, snow, and dew, are quickly absorbed by unprotected wood causing it to swell while washing out the natural wood resins and coloring. rays to break down the cell structure and degrade the woods integrity. These factors combine to physically and chemically attack the woods lignin, (the chemical structure (glue) that holds the wood fibers together. Moisture that is allowed to sit in the wood will soon serve as a natural food source for mold, mildew, algae, and fungus causing black, green or gray discoloration. This process of Wood neglect is even worse for decks. Being horizontal surfaces, decks hold water and snow for prolonged periods of time, accelerating the damage. The dampness attracts pollen and fungal spores which collect and cause ugly discoloration. And, decks are subject to 40-50 percent more direct sunlight than comparable vertical surfaces. This results in unique thermal stresses to the wood. 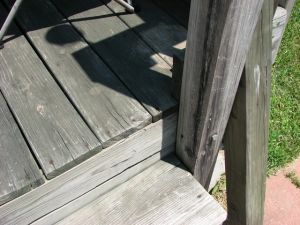 For example, on sunny summer days the temperature on a deck board can vary as much as 50º F between the sun-exposed top surface and the damp, shaded underside. 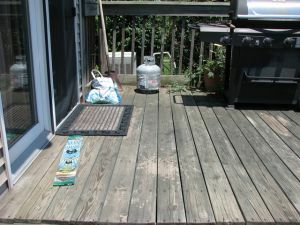 In addition to all of this, decks are subject to foot traffic, physical wear and tear, and ground-in dirt. If the wood is not properly cleaned and sealed with the right products, the wood will eventually begin to rot. 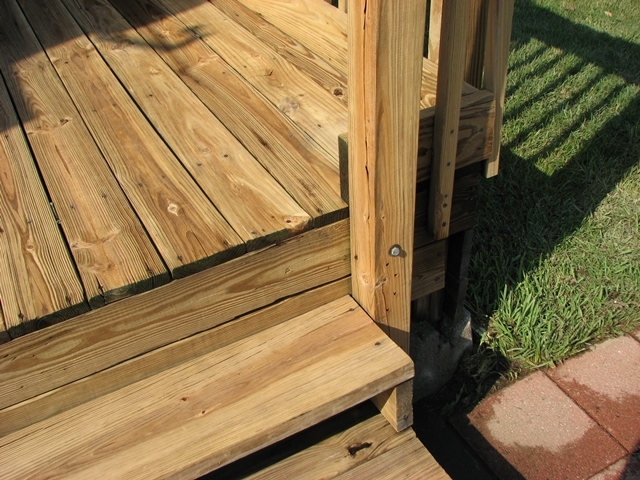 The cost to replace wood is considerably much higher than it is to maintain it properly. 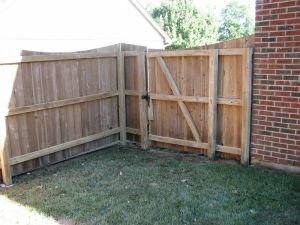 Wash It Clean – Power Washing – Richmond Virginia has experience in restoring and sealing wood is at the very highest level. We guarantee 100% of our work. Because every job is different, we will assess the condition of your wood, and ask the customer what kind of results they are looking for, and proceed with suggestions. There are four ways to go about cleaning wood. 1- If the customer’s wood has paint/stain on it currently, the surface is dirty and / or moldy and they are happy with the color and would like to keep the same finish, then we will just give the surface a good maintenance cleaning. This is the least expensive procedure. It is very important to keep the surface looking new by not allowing the mold to continue to grow, which will eventually deteriorate the finish and the wood itself. 2- If the customer’s finish has deteriorated beyond the point of the simple maintenance cleaning, then we will recommend stripping the old finish off with the right chemicals and pressure, neutralize/brighten and finish with a minimum of two coats on the floor. 3- If the customer’s finish is an extremely durable product such as Sikkens, and it has been over 5 years since the last cleaning, and has begun to deteriorate, then we will recommend the same as above, plus sanding the wood to ensure all of the old finish is off. 4- The most common wood is the typical neglected gray moldy kind, that has either no finish or a very cheap clear coat such as Thompson’s that has not lasted more than 2 years. Only tinted sealers and stains offer UV protection for your wood. Clear sealers offer no UV protection! 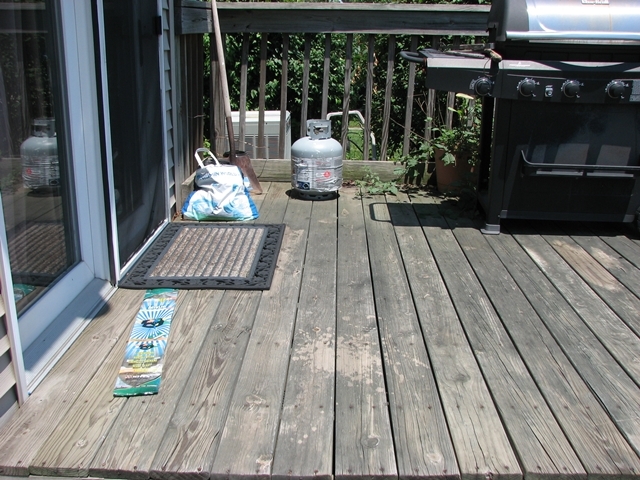 We will then soak the wood thoroughly with our safe mildewcide cleaner, pressure wash with light pressure, neutralize/brighten, and seal with the predetermined finish of choice. After getting to know other professionals, I have learned that our process is considerably more thorough than most other less experienced in the Richmond VA area and the results we get with it can be quite stunning and set our work apart. Rather than blasting wood with high pressure (leaving marks on the wood, raising the grain and leaving the surface all fuzzy), we use our exclusive three step process to ensure the wood is completely restored back to its original color. Pressure washing alone with either the wrong chemicals or no chemicals will not clean or remove mold and grime from your wood effectively. Some professionals are still cleaning the wood the old fashioned way and are using chlorine bleach. This is a big mistake. Bleach does a very effective job of killing mold and cleaning surfaces but it is too harsh on bare unprotected wood. If mixed strong enough it will remove the natural color from the wood. Also because bleach is very high on the ph scale, 12 or 13 depending on dilution, it will soften the wood too much and after Power washing it will cause damage to the wood fibers, raising of the grain, and it will leave the surface all fuzzy. If the wood is not neutralized prior to cleaning it will cause the sealer to prematurely fail. 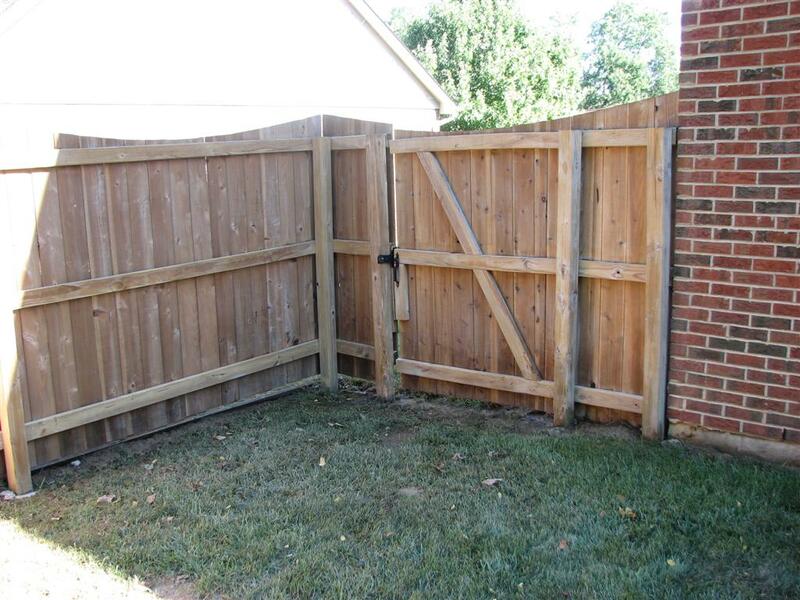 Wash-It-Clean Pressure Washing & Power Washing Richmond Virginia also offers state of the art Wood Renewal and Preservative Coatings, as well as traditional Wood Staining & Sealing. 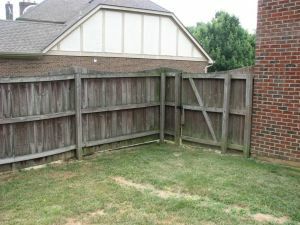 Some other pressure washing contractors do not offer the option of protecting your wood from the elements after cleaning it and this is not fair to the customer or the wood surface being cleaned. This is also unprofessional because at the time of cleaning, the property owner is going to save the very most and have their wood surfaces last, the longest, if they are maintained regularly. Cleaning your wood is only half the job. If it is left untreated after washing, the wood will begin to gray within just a couple of years. Eventually the wood will dry out, crack, rot and decay. By Cleaning wood you are essentially prepping the surface to be prepared to propely receive some type of wood preservative and by sealing it, it is the natural final step to the process of restoring value and useful life to expensive outdoor exposed wood surfaces. Have you ever seen an interior hardwood floor without a finish on it? If you take care of your wood properly it will last a life time. We use the top of the line oil-based wood sealers made for professionals to protect and beautify your wood for years to come. Products like Ready Seal, Cabot’s, Wolman’s, or Sikkens are far superior to consumer based wood sealers like Thompson’s and Behr offered at Home Depot and Lowes.